The Inn Way & TeamWalking: 1,000th Navigator! 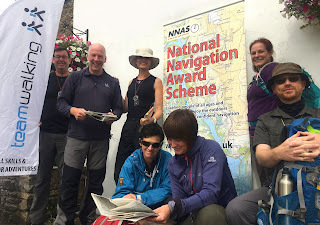 My first NNAS course was held in March 2009, since when 1,000 people have attended one of my Bronze, Silver or Gold courses. Sophia from London was the 1,000th person (pictured with the hat). Here are photos from our 3 days walking and learning new skills across the fells and moors of Swaledale. By the way, all of the group gained their NNAS Silver award!